The Hooch design incorporates structural bamboo poles originating from a single point foundation and radiating upward to support the living area. 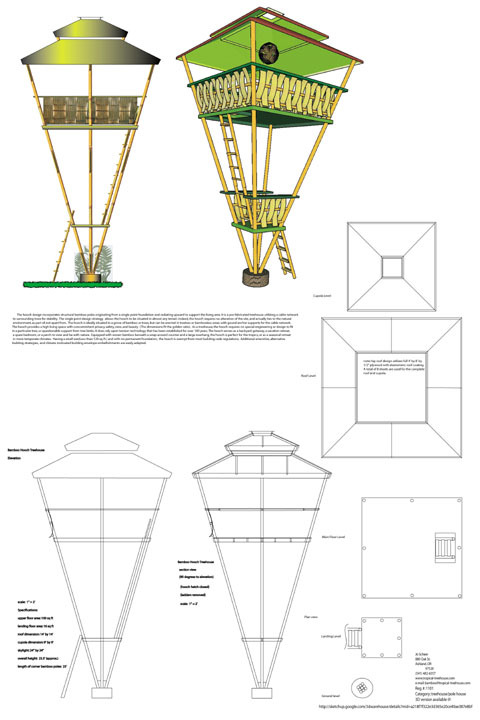 The Hooch can be situated in almost any terrain, but most ideally in a grove of trees or bamboo, and cables attached to trees can be used for additional support. This pole house has actually been built in the Pacific Northwest region of the United States.